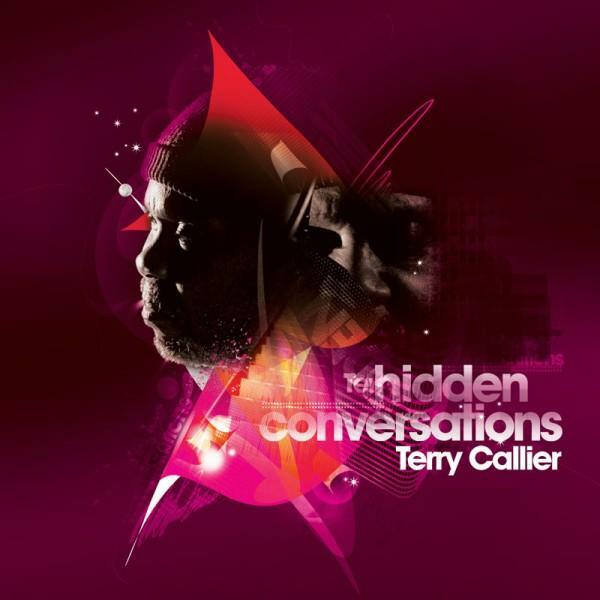 ♥ When Terry Callier returned to the music scene as an active participant in 1998, after 20 years in self-imposed exile, he jumped headlong into the recording and touring process. His first two recordings, the fine Timepeace and the less-than-satisfying LifeTime, both had songs worthy of anything Callier ever wrote during the 1960s or 1970s. The live album, Alive on Mr. Bongo from 2001, is a testament to that. But finding a producer who could properly illustrate the vast subtleties in Callier's work, which effortlessly blurs the boundaries between jazz, pop, soul, and poetry, proved difficult in the studio. On Speak Your Peace, Callier has found the perfect working mates in Jean-Paul Maunick and Marc Mac (from 4Hero), two men who understand that his work is more about nuance than statement, sense impression than solid image, poetry than prose. Callier's glorious voice and wonderfully fluid acoustic guitar are front and center in the mixes of both men. Mac accents the skeletal angle of Callier's compositions, as on "Monuments of Mars." He underscores them with gentle rhythms, ambient sounds, well-placed strings, hand drums, and space, allowing the poetic, moral message of Callier's vision to come through unimpeded. Maunick's production techniques, as evidenced on all but three of the album's tracks, ranges; there are the shimmering drum loops on "Running Around," propped by scenic strings and a heavier bassline, that bring Callier's voice to a level above the instrumentation -- and this is fine since he sings with such an authority that it doesn't have to be imposing, so there's no overkill. And then there's the single, "Brother to Brother," which Callier co-wrote with Paul Weller, who joins him in a duet. Everything on the track is spare, full of space and ambience, until the end, where the two voices entwine and a keyboard pulls the rhythm section toward the front. "Caravan of Love" could have been written by Curtis Mayfield and performed by MFSB with backing vocals by Hall & Oates. Yeah, it's that good. As for Callier's compositions, they're stronger than ever. Quoting his words in the context of a review is to belittle their achievement in that they are inextricably wedded to his musical frameworks. (Let's just say that if all pop music were as profound, we would all be activists working for peace and harmony.) The upshot is that this is easily the most seamlessly beautiful and wonderfully consistent recording he's made since his return. There are 14 tracks of ethereal, moving soul, groove, and poignancy that would (or at least should) make Bob Dylan and Smokey Robinson cry. Speak Your Peace rates with Callier's Cadet work in its vision, articulation, and execution. Indeed, on this recording one can hear, in the grain of his voice, a plea for wholeness that could only come from profound heartbreak. ¶ Goble Like the artist himself, the music on this brilliant album defies all categories, embracing Terry Callier's wide range of influences and experiences. Callier's musical kaleidoscope is filled with funk, rock, folk, jazz, and even classical influences. "Dancing Girl" opens the album with Charles Stepney's majestic orchestration. This opus is the album's pinnacle, moving with soft intensity toward soul-stirring crescendos. Songs like "What Color Is Love" and "Ho Tsing Mee (A Song of the Sun)," an elegant antiwar prayer of confusion, somehow avoid clichés or take them to another level. "You Goin' to Miss Your Candyman" was made popular by Urban Species when they sampled it on "Listen" in the early '90s, and not surprisingly, it sounds better in its original form. No matter where you turn, Callier's passionate voice captures the sweeping drama of the human condition. A lost romantic amid "concrete front yards," this album is a must-have for any music connoisseur.